Drinking Water Fountains are one of the leading suppliers of high quality water related products in the UK which includes indoor and outdoor water fountains. 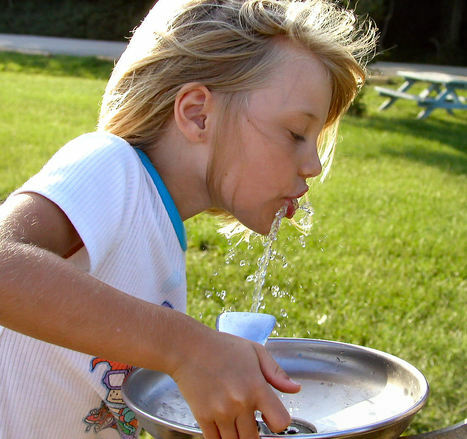 We’ve outlined the benefits of installing a drinking fountain and addressed common concerns related to hygiene and safety to help you choose the right water fountain for you. According to UK health and safety regulations, it is essential to provide your workers with clean and fresh drinking water. It’s important to ensure that you choose the appropriate solution for your location and needs. If you have a small office, a bottled water cooler will do the job just fine. However, for larger corporate environments a plumbed-in solution or even water fountains might be a better option as it can supply a larger quantity of fresh drinking water on demand. You don’t want to be stuck with empty bottles and water running out at inopportune moments in a large office or gym. That’s why we have a trained team on hand that ensures you are well stocked and that your water fountain is properly maintained. Is the water from the water fountain safe? The water used for drinking fountains is typically the same water that comes out of your tap as it is connected to your mains water supply. Our drinking water fountains are fitted with top quality carbon-based filters which gets replaced every 6 months to ensure its integrity. We offer comprehensive drinking fountain maintenance contracts to ensure the water coming out of your fountain is clean and safe for consumption. If you’re healthy with a strong immune system, your risk of catching a disease from a water fountain is low. The bacteria count on the actual water will only increase if the machine is not cleaned frequently enough or they had been contaminated by staff members failing to wash their hands. Fountain heads and fittings should also be cleaned regularly. Our objective is to provide customers with the best possible option based on their needs and budget. Talk to us today and get a customised quote.